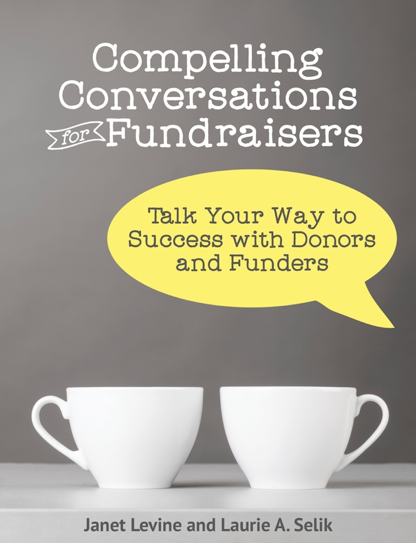 If there is one immutable fact about fundraising it is that the more you involve your prospects and donors, the more likely it is that prospects will become donors and donors will continue to support your organization and cause. Given that most of our donors are making small gifts and it is impossible to meet with each of them individually, the million-dollar question is how do you do that effectively? Whether you agree with or would support NARAL, they do an extraordinary job of turning their donors into advocates and, as advocates, feeling that they are part of the organization. Most weeks, they send out informative (and short!) emails, about things that matter to them and, by extension, most likely to their donors. These emails tell you what happened and why it matters. And, most importantly, what you can do to spread the word, take action, keep moving actions forward. Nothing they suggest is hard to do (sometimes it is simply clicking a button), but it makes the recipient feel part of something larger and of turning their financial support into action. Which—no surprise here—makes it feel more imperative to continue supporting the organization. As you go about gathering up stories of the impact your organization has had, think about ways you can help your supporters to share those stories, to push for more support, to join hands with others who care about the work you do. NARAL knows that its supporters share a set of values and these go beyond the specific thing you most represent. So reproductive rights are critical to NARAL supporters, but so is equality—the notion that every person has parity with every other person. Not everything that NARAL pushes is only focused on a women’s right to reproductive choice. So it should be with you. One of my clients—a k-5 school, shared with their community of supporters the values they were teaching their students. They provided a link and asked them to send in stories of the ways they were living those values. By sharing, others learned how they could incorporate the values into the fabric of their lives. What does that have to do with fundraising? Nothing and everything. By involving your supporters in the things you do and what you stand for, you create community. As that community draws closer, your organization becomes more important. And the more important you are to your supporters, the more they will ensure you have the resources and funds you need to continue doing the work they know is so important. This entry was posted in fundraising and tagged community, involving donors, shared values. Bookmark the permalink.